Here is my first round-up of tree news articles from around the world in 2018. Click on each of the pictures if you would like to read the full stories. 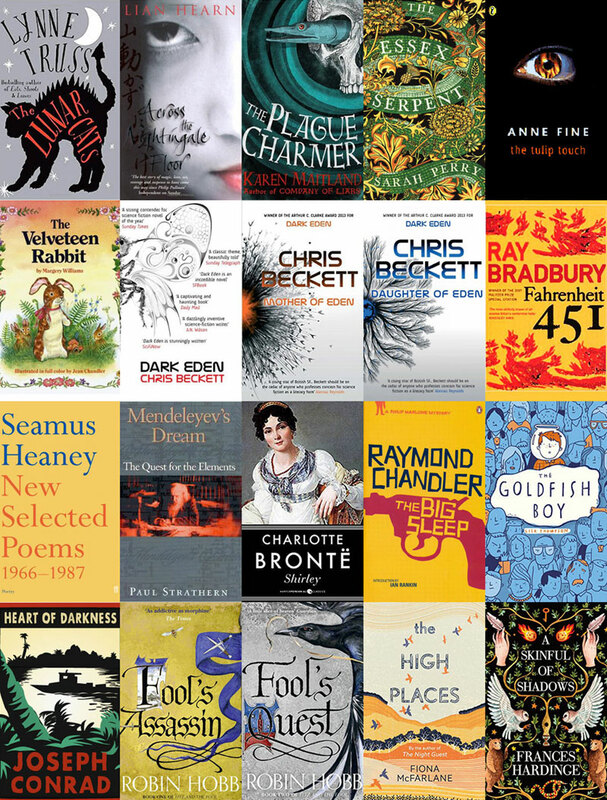 The books I read in 2017 – click on the image to see a bigger version in which you might actually be able to read the titles! It has now been a year since I “signed up” for the Reading Challenge on Shaz’s Jera’s Jamboree blog. It’s a way of getting out of your comfort zone of always reading the same sorts of books. Over the course of 2016 to 2018 I am planning to tick off EVERY box in each section of the challenge. I am logging my progress here. In the northern hemisphere the trees are still resting at the moment, so it’s not too late to choose one to follow. If you are someone who is thinking of following a tree for the first time, read all about the idea here and join us in February. I didn’t have many days off over Christmas and New Year and the weather was mostly wet and windy, but we did manage to visit the Wildfowl & Wetlands Trust’s Llanelli Wetland Centre this week, on a day that was quite dry but with a cold wind.